One of the biggest stories of City Championships so far has been that an Yveltal/Zoroark/Gallade deck, highly popularized by Kevin Baxter, has jumped ahead of the rest of the field to become the best deck in the Standard format so far according to the results we have from the tournament series so far. The spirit of Dark decks has somewhat surprisingly kept on going strong in the new Standard format for this season. A lesser talked about theme from the first two weeks of City Championships is that Yveltal decks have fallen off quite a bit in the Expanded format after being the best performing deck of Fall Regionals, winning tournaments when piloted by members of the Dark Order such as Israel Sosa and Frank Diaz. 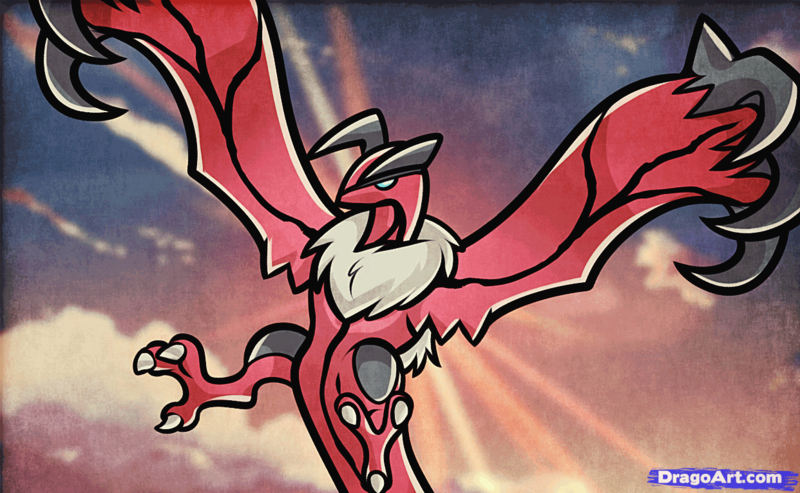 During the first two weekends of City Championships, Yveltal was only the 5th best deck in the Expanded format and was a far cry from being near the top, an unusual position for Yveltal decks to find themselves in. At the Expanded tournaments that were being held the players that usually make top cuts weren’t playing the deck. The players who continuously play Yveltal and continuously do well with it (Israel Sosa and Frank Diaz for example) were playing in areas where tournaments were being held in Standard format. To cut to the point, the primary reason that Yveltal decks weren’t doing well was because players simply weren’t showing up to the tournament with the deck, and if a deck is played in low numbers, even if it’s very good, it will likely perform less successfully than other good decks that are being played in high numbers. The latest set, Break Through, doesn’t appear to have much of an impact on the Expanded format at all and the few cards that could see play from the set should only help Yveltal decks get better, not make it worse. The biggest addition to the format from Fall Regionals, the promo Jirachi, does very little to counter Yveltal decks. The other two big additions, Zoroark and Gallade, were cards that could be used to make existing Yveltal decks better. The theory that Yveltal was still good but just not being played seems to be supported by a cursory glance of the Week 3 results that have already been reported. It appears that Yveltal decks had some very good showings in Expanded this weekend and should gain significant ground on the power rankings this week. I followed my own intuition regarding the deck and played it for both City Championships I attended this past weekend for some pretty good results. In the next section I will explain why I still love Yveltal as a deck, and then I will recap my tournaments that I played in this weekend. One of the things that I like most about the Expanded format is that being a veteran player can give you somewhat of an edge over newer players because of the expanded card pool. I started playing when Black and White was the latest set released, so I have been playing as long as the entirety of the card pool has been in existence. This means I have 4+ years of experience to draw upon when building and playing decks in the Expanded format. I will have seen how certain cards in the card pool have previously been played or past threats they have had to overcome and I can use that information to inform how I build and play decks in the current format giving me an advantage over players who may have started when Plasma Blast or Phantom Forces were the newest sets, who haven’t seen some of the ways cards in the Expanded format were previously played. Dark decks in particular have a rich history in the game. Darkrai EX decks have found success in the meta game immediately after having been released with Dark Patch in Dark Explorers. They have not let up on being dominant meta forces to this current day, seeing many different build and becoming more powerful with the release of Yveltal EX in XY. I have over a thousand games played with Darkrai and Yveltal decks which gives me a level of experience with such decks that makes me very comfortable building and playing the decks. This experience allows me to progress games into my favor much easier than I could with a deck style that is newer and that I have a lot less experience with. I’ve also played in formats where Darkrai and Yveltal mirror matches were big, so I also have a solid foundation to draw upon when facing the mirror match giving me a solid advantage in any mirror matches I play against players less experienced with the archetype. I’ve hopped around decks quite a bit the past few years and can still recognize how playing Yveltal can put me in a great advantage headed into a tournament, so it’s a scary thought how much of an advantage players that have never really switched off of Yveltal have over other players when they go into a tournament with the deck. I strongly believe that Dark Patch is the best form of acceleration in the game. As it is an Item based method to energy acceleration it is hard to counter as it cannot be denied through Hex Maniac, Garbodor, or Wobbuffet. The only real means to shutting down Dark Patch is Item lock decks. 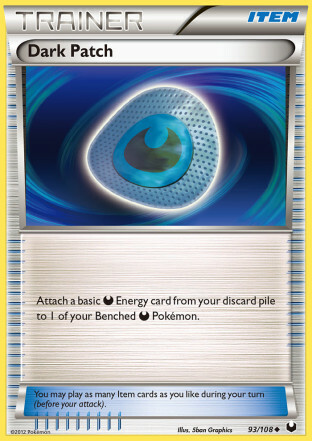 The two primary Item lockers of the Expanded format are Seismitoad EX and Trevenant XY. Quaking Punch is admittedly an effective counter to the card, but you can still play some Dark Patches on the first turn of the game to setup a solid board position. Trevenant is generally very easy to deal with because Evil Ball knocks it out in a single hit because of Trevenant’s Dark weakness, and you can activate your Dark Patches simply by using Lysandre to push Trevenant out of the active position. Against everything else, Dark Patch is live for the entirety of the game and can be potent early game to setup Yveltal decks for aggressive opening attacks or be used late game to instantly power up attackers to not miss any beats in a game. With both Battle Compressor and Ultra Ball in the deck, getting Dark Energy in the discard pile to use Dark Patch early is very easy. One of the nice features of Yveltal decks are that they are packed with good answers to Seismitoad EX decks. While Seismitoad decks can shutoff your Dark Patch you still have Yveltal XY’s Oblivion Wing attack as a secondary form of energy acceleration that could be used under item lock. 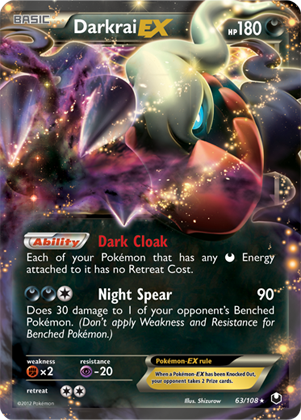 Additionally, Darkrai EX’s Dark Cloak gives the deck mobility against item lock and Keldeo EX can use Rush In in conjunction with either Float Stone or Dark Cloak to prevent status effects from having too much impact on a game. Having the two different forms of energy acceleration in mini Yveltal and Dark Patch also puts Yveltal decks in a good position to win against any deck that tries to win through an onslaught of Crushing Hammers. 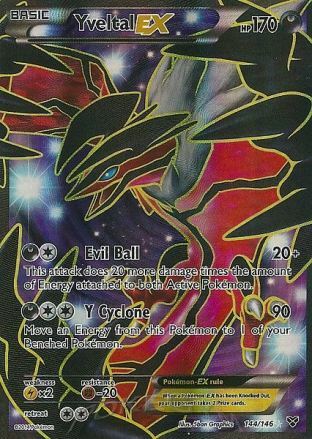 One of the greatest attributes of Yveltal deck is that it has a multitude of attackers at its disposal with different weaknesses which makes Yveltal decks notoriously hard to hard counter. Yveltal EX and Yveltal XY both share a Lightning weakness, Darkrai EX has a Fighting weakness, and Seismitoad EX, another common partner in these decks, has a Grass weakness giving you a good set of attackers to use against different matchups. 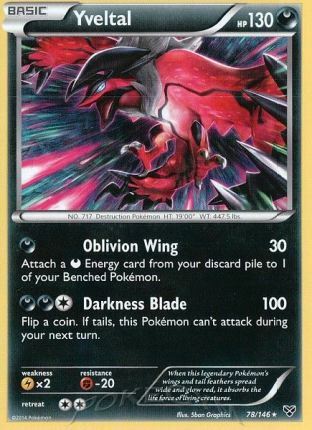 Additionally, with Yveltal EX being such a strong contender for the last two years you are unlikely to be blindsided by a new Lightning deck that is meant to hard counter Yveltal. All of the best Lightning attackers are already being used or have already been tried out and weren’t good enough to hang with other decks in the format and therefore don’t get played. 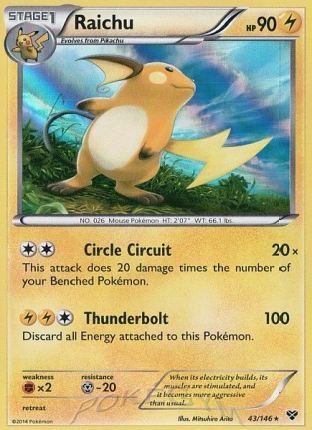 Raichu XY, M Manectric EX, Jolteon AOR, and Joltik PHF are all known entities and all cards that Yveltal players will go into tournaments with strategies on how to beat. The deck plays such a combination of cards that it lends itself to a loads of customization options. In particular, being played with Double Colorless Energy and Battle Compressor opens up the number of options you have for the deck. 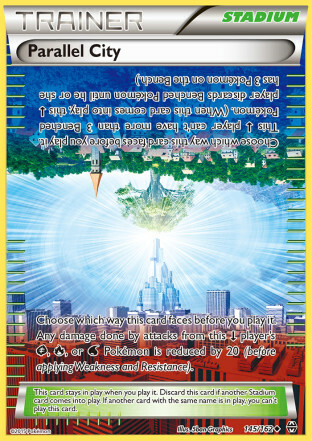 The Double Colorless Energy allows the deck to be played with other attackers that attack for [C][C]. 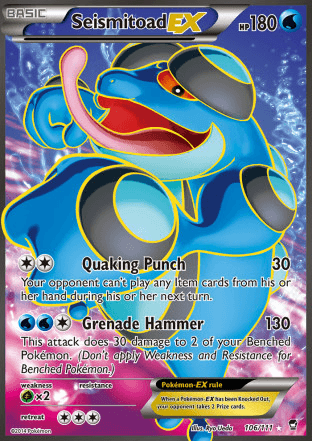 The most notable card that fits this description is Seismitoad EX, which also works well with Hypnotoxic Laser and Virbank City Gym which is commonly played in Yveltal decks. Other attackers that people have used in the past with the card are Raichu XY and Mewtwo EX. Gallade BKT is another new attacker that could be powered up with a single DCE attachment and gives the deck a good M Manectric counter. 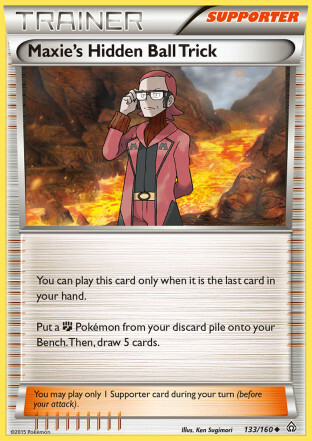 Battle Compressor not only works well to setup your Dark Patches, but can also be used to let Yveltal decks play strategies based around Maxie’s Hidden Ball Trick and Archie’s Ace In The Hole. The deck works especially well with Maxie’s because it allows you to play Archeops NVI, which can help you with evolution decks that could otherwise be difficult and can also let you play Gallade BKT, which works well as a M Manectric counter. 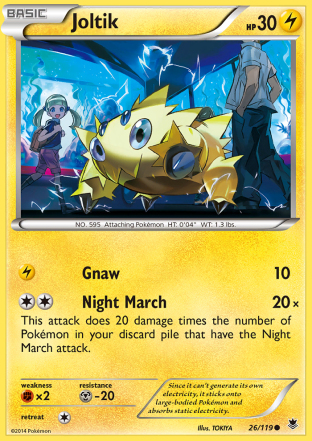 Additionally, while all of the Abilities in the deck certainly enhance the deck, none of them are Abilities that your strategy is reliant upon, so players could play Garbodor DRX to Ability lock opponents. This has seen a lot of success in the past, however now most players just choose to play a Hex Maniac and Ability lock opponents at opportune times. 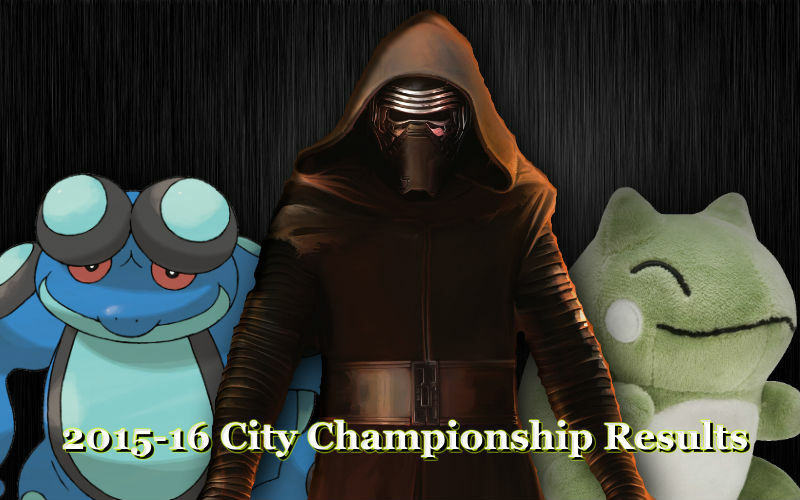 A variant with Dusknoir BCR which has only really been played by one player has even been the 10th most successful Expanded deck for the first two weeks of City Championships! Because of the reasons listed above, Yveltal EX not only has an amazing power level, but it also has great versatility both in how it can be played and how it can be built. This versatility in strategy and a strong power level makes it so there really aren’t many strategies that hard counter Yveltal decks. The deck generally goes close to 50/50 or better against the majority of decks in the format, and a lot of matchups simply come down to how skillfully you play the matchup, or if you played the right list of 60 cards for the decks that showed up that day. The deck also generally deals well with random decks that can show up at smaller events. While at bigger events you will typically only play against meta decks, at these smaller tournaments people are a lot more loose with the decks that they play so you can play some really off the wall stuff and Evil Ball is really good at winning against most non-meta decks. This is one of the reasons I think that so many players started playing Yveltal and never stopped playing it. There is just something really nice about playing a deck and knowing that you have a shot in every match you play. As mentioned earlier, I played Yveltal for both of my City Championships this weekend. I played a version that is the next evolution of the Yveltal/Archeops builds that have seen play previously, which is basically that same deck but adding Gallade BKT into the deck. 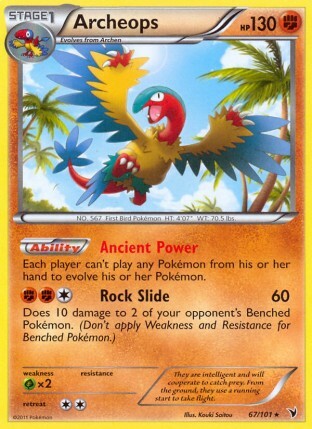 The Archeops is great against evolution decks such as Vespiquen and Bronzong. Gallade gives you a very strong counter to M Manectric EX if you can get it out. 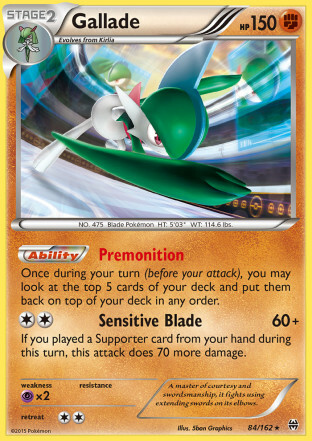 Additionally, Gallade can be used in the mirror match to easily knock out a Darkrai EX and is a good attacker for knocking out Shaymin EX’s after a Lysandre while potentially forcing a favorable prize trade. For the first tournament I played a version of the deck that I heard was getting some play in other areas that played Parallel City and Assault Vest to give it a strong upper hand against Night March and Vespiquen decks. I didn’t have a full playset of Assault Vest irl, so I replaced any Assault Vests that I didn’t own with Muscle Band for the day. In the end I would finish in 3rd place after losing my Top 4 match. I had a fairly easy set of Swiss matchups during this tournament. The one loss I had against Vespiquen I prized my Maxie’s, otherwise that would have been an easy win with my opening hand supporting a turn 1 Maxie’s. In Top 8, I won a very close first game and then was able to Ghetsis away my opponents entire hand in the second game setting up an easy win. The deck performed very poorly against Sableye/Garbodor. 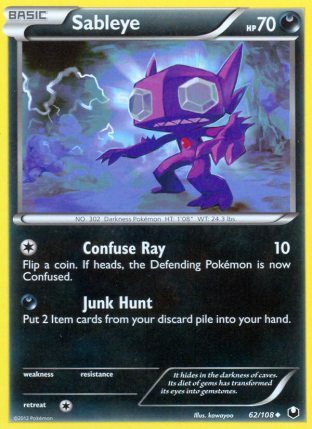 Without Hypnotoxic Laser it was impossible to take knockouts on Sableye easily leading to a lot of worthless attacking because they would always be able to Junk Hunt the Life Dew to prevent prizes and none of my Ghetsis plays had too much of an impact on the games. I tried using Archeops to block him from evolving to Garbodor, thus allowing me to use Keldeo EX and Dark Cloak at will, but he played a Hex Maniac in his list and was able to work around the Archeops. I’m not really a big fan of Assault Vest in this deck and think Muscle Band is strictly a better Tool to have on your Pokemon. It had no real impact on my games in changing the damage math in my favor. Against Vespiquen, for example, he got enough Pokemon in the discard pile to knockout my Darkrai EX with an Assault Vest on it rendering it useless. Parallel City on the other hand was okay. Being able to limit my opponent’s bench was good in preventing them from getting setup in a good position for later turns, especially after a hard N. It was also solid in testing for early game situations where your opponent plays down two Shaymin EX on their bench and doesn’t get a 4th Pokemon down letting you limit them to one usable bench space. I also used that effect on myself to discard my Jirachi EX and Shaymin EX to prevent having easy prizes on my side of the board. For the second tournament of the weekend I wanted to make sure that I had a good matchup against the Sableye/Garbodor deck which ended up finishing 2nd at the first tournament. The deck was being piloted by a World Championship competitor, was being played very well, and I was confident that it would probably make top cut again as less skilled players were likely to not be able to think through the matchup to win against it in Swiss. 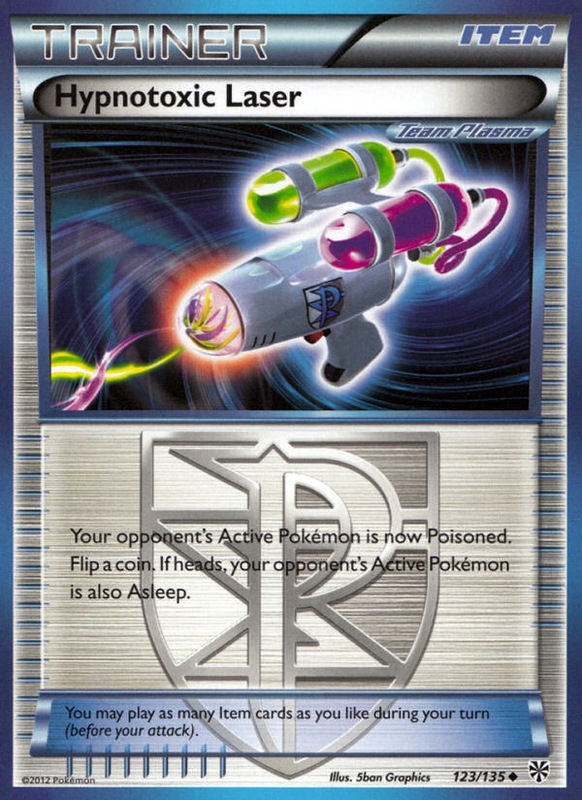 The most significant change I made was reinserting Hypnotoxic Laser and Virbank City Gym into the deck letting me easily knockout a Sableye with Oblivion Wing and a Muscle Band. Additionally, I added a Seismitoad EX into the deck as Item lock is very strong against a deck that depends on constantly recycling Item cards from the discard pile. An AZ would also have been very good and would likely make it near impossible for me to lose against the deck, but I decided that I wanted to use that space somewhere else and that I can’t overly tech for a deck that only one person is playing and felt that the changes I already made should give me the edge in the matchup. The Maxie’s stuff certainly came in handy during Swiss. Once I got Archeops out against the Accelgor deck it was trapped with a bunch of Shelmet’s with Wally being the only out to an Accelgor (and it would be hard to continuously draw DCE’s when you’re using Wally as your Supporter for turn). He had prized 2/3 Wally anyhow, so he was in a bad position from even using that as an out too. Against the M Manectric EX deck that won the previous day’s tournament, I got a turn 2 Gallade going first and that was enough for my opponent to scoop as there was nothing he could do to stop Gallade from winning the game by itself. The changes I made to the deck to deal with Sableye/Garbodor paid off well. In the two games of the set that I won, I loaded up a Seismitoad EX with 5-6 Energy and just used Quaking Punch until I won. The Night March match I had in Top 4 was a very good set. I gambled on a Ghetsis in the first game which was ineffective as he only had two Items in hand and opened a Professor Juniper, so he was able to get his deck setup and I was left with a bad hand. In the second game I was able to use Seismitoad EX mid game along with a good N that kept him out of Energy for a couple turns to get into a leading position to win that game. The final game was very close. I had a very slim chance of winning after realizing that two Dark Patch were prized, and I only had one left in my deck as we were approaching the end game which meant that I wouldn’t be able to power up a Darkrai EX in one turn. I used N to put him down to 3 cards and used Sky Return to knock out a Joltik and return Shaymin EX to my hand while promoting my Jirachi EX as a sacrificial lamb. From that knockout I got a Dark Patch from my prizes and had the Ultra Ball and two Dark Patches in hand with a VS Seeker that would all but ensure me the game. He N’d me to 3 however and I drew a VS Seeker, Muscle Band, and an Ultra Ball. He then knocked out my Jirachi EX with Mew EX to go down to 1 prize. I drew the Darkrai EX for my draw for the turn. I had two options at this point, which were to go for the guaranteed knockout on Mew EX while N’ing him to 1, or go for the Night Spear to win the game. Since I didn’t have the guaranteed Energy for Yveltal EX in hand I decided to use Juniper to go for the Night Spear. With an Ultra Ball and Shaymin EX still around in a fairly thin deck I felt that odds were pretty good to get it. I benched Darkrai, attached a Muscle Band and then used Juniper and drew into both Dark Patches I needed, a Double Colorless Energy to attach and the Hypnotoxic Laser that were needed to knockout both the Mew EX and Joltik to win the game. The finals match ended up being a very unfortunate series. In the first game he prized both of his Blastoise so I won easily. At this point I thought I would probably win, because all I really had to do was use Ghetsis on turn 1 in Game 3 to win the game, and with Battle Compressor into VS Seeker, or Ultra Ball into Jirachi EX I had a lot of outs to make that play possible. I felt Game 2, going second was unlikely to be a win since I didn’t play Hex Maniac that day which leaves me with not much of a good disruption answer for the late game, as the deck draws so easily out of a Ghetsis or N once it has the Blastoise on the field as the deck is nearly all consistency items. Unfortunately for me, I didn’t open a Supporter card in either of the final two games and lost on turn 2 in both games by being benched. 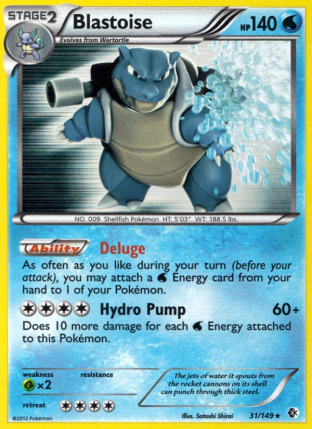 While it’s unfortunate, it’s important to recognize that this is one of the strongest characteristics of the Blastoise decks. Because of all the consistency cards it plays, it rarely dead draws itself, and since it can OHKO on the first turn of the game, if your opponent has any inconsistency in getting setup the deck easily will rush into a dominant game state. In the end I finished 2nd at this tournament. Here are a few other thoughts I had about the lists that I played this weekend and the position of some cards within the meta game. The list that I played the first day was far more effective at getting off Maxie’s on the first turn of the game. I was able to get a turn 1 Maxie’s in almost every game during the first tournament, but had difficulty getting it during the second tournament. I was still able to easily set it up to be played on turns 2-4, and that was generally good enough, but the turn 1 consistency wasn’t there after dropping a Battle Compressor and removing Acro Bike. I’m not exactly sure what the magical combination is, but if I play this again I will most likely keep the Seismitoad EX and Laser Bank while trying to mimic the trainer engine from the first day. I actually did feel that the second list worked a lot better tempo wise as far as the Dark elements of the deck were concerned as the first list was sometimes too aggressive in discarding resources in an attempt for the turn 1 Maxie’s. There is some fine balance to be found between the two lists that I will be working on trying to figure out. I liked Jirachi EX as my opening consistency out more than Shaymin EX, although Shaymin EX was still very good for late game bursts or making the most out of turns where I used Lysandre. 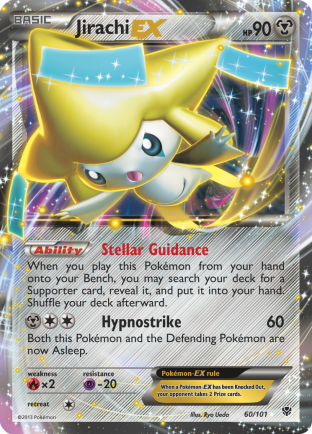 So many times when we use Shaymin EX we’re really just digging for a Supporter card, so just being able to grab the Supporter you want with Stellar Guidance is generally leaps and bounds better than Setup to start a game. Once you use one Supporter, all of your VS Seeker become active and your deck is instantly more consistent. Overall it was a good weekend with Yveltal, netting me 2nd and 3rd place finishes for 70 championship points. In total I am now at 202 Championship points and am soft capped on City Championships with a 2nd, two Top 4’s, and a Top 8 finish. (I had previously gotten 5th with Tyrantrum EX/Bronzong in Standard, a 10th with M Rayquaza EX/Zoroark BKT in Standard, and a 4th place finish with M Rayquaza EX in Expanded).